I see that the oft-rehearsed question of whether Christians and Moslems worship the same God has surfaced again. Quite a few years ago I got into hot water by saying things about Islam that implied that a Moslem could be said, on a certain occasion, to worship the same God as us Christians. But before we get to that, it seems that Paul had interesting things to say on this question when he was at Athens. What did he mean when he said that the one whom the Athenians worshipped in ignorance ‘I declare to you’. It seems that he meant, or implied, that two people could worship the same God, the one knowingly and the other unknowingly, with many misapprehensions. And what about Jesus at the well? 'You don’t know who you are worshipping. We know what we worship. For salvation is of the Jews.' Was he arguing, like Paul, that the woman worshipped the God of Abraham, though unknowingly, while at the same time misunderstanding who it was she worshipped? Do Christians and Jews worship the same God? Could they worship the same God? The answer has to do with the complex matter of reference, and the conditions of its success. How much do two people have to know in common for their words and actions to be words that apply to the same person, or to the true God, and their actions are successfully directed to them? In the case of God, Suppose that the two both use the words ‘Creator of the heavens and the earth’ to refer to God. There is only one such Creator. Christians say that he is the God and Father of our Lord Jesus Christ. Others attribute to him other and incompatible properties. Though mistaken about a serious and substantial matter in respect of a person, we may nevertheless succeed in hitting the target. What about referring to the same God? How about a classical theist and an openness theologian? Or the God of Christian orthodoxy and that of American civil religion? It is possible to approach this problem of worshipping the same God from another angle, from needs that men and women may have which only God can meet; supremely the need for mercy and forgiveness. It was in recommending such a course that I got into hot water. Some years ago, before many of you were born, I was at a conference in Canada on missions. I cannot now remember whether it was in the paper I gave, or in discussion later, that I ventured the view that if, in Auschwitz, say, a Jew sincerely prayed ‘Lord have mercy upon me’, that prayer would be heard. And similarly if a Muslim prayed, Most merciful Allah, have mercy on me, then similarly. Why may we not believe that a cry for mercy may find its way through the fog of error and misapprehension to the one and only merciful God? Do we have an interest in narrowing the wideness of God’s mercy? Are we entitled to take this line? When I returned home I received a letter from Iain Murray pointing out that one of those who objected vociferously to the sentiments I expressed in Canada was a solid supporter of the work of the Trust who had been in touch. However the effect of this letter was somewhat spoiled by the fact that W.G.T. Shedd, whose volumes of sermons the Trust had re-published and whose Calvinism Pure and Mixed: A Defence of the Westminster Standards the Trust also re-published, in 1986, expressed similar views. Did Shedd have a different God from Warfield, who strenuously objected to this view? (See 'God's Providence Over All' in Vol I of Warfield's Selected Shorter Writings, for a sample.) Would that then make one of them an idolator? If so, then which one, I wonder? What follows is the Preface to the book which I was delighted to be asked to write. Half here, and half next month. 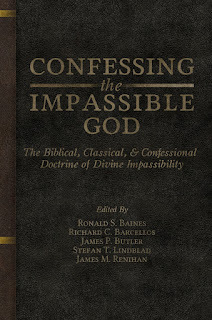 To many readers, Confessing the Impassible God will be a surprising book. 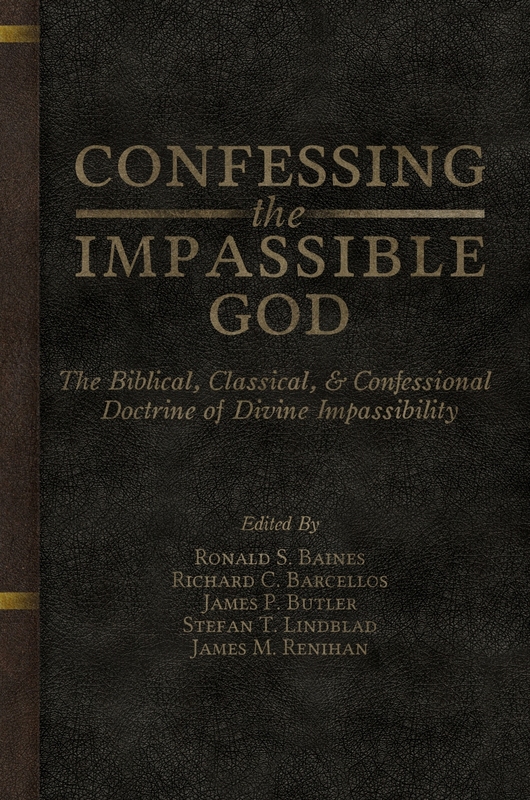 It articulates and defends the impassibility of God by Baptists, taking seriously the statements of Baptist confessions of faith of the seventeenth century! Such surprise is due largely to the custom of identifying Baptists exclusively with the culture and theology of modern evangelicalism, the temper of mind of which is concerned with modifying and supplanting the theological heritage of Protestantism with innovations of various kinds. The contributors to this book are well aware of such deviations. Furthermore, many Baptists have been taught to believe that it is altogether alien to the Baptist outlook to formulate and adhere to confessions of faith. Confessions of faith, it is customarily believed, are uncharacteristic of the Baptist mentality, which is strongly inclined to think that adherence to confessions cramps the mind and spirit of the Christian church. The idea is that Baptists, being independents or congregationalists in their polity, are marked by an individualism which fosters in each congregation and each minister their own ways of expressing their faith. But history is not on their side at this point. The authors of this book take a different view. So the first thing to be said is that Confessing the Impassible God is not an exercise in antiquarianism. All the essays which form it have a positive theological stance, and one with distinctive practical and pastoral consequences. The writing is at one and the same time impassioned about classical Christian theism, and careful and serious about the application of this confessional position to the contemporary church. For a modern evangelical Baptist to adopt these recommendations will require fresh thinking. Before we consider the book’s approach to God and his impassibility, let us reflect a moment on the meaning of ‘impassible’ as applied to God. The word is often mistaken for others, and given a meaning that it does not have. For example, it is often confused with impassable. If the road is blocked by an avalanche we may say that as a consequence it is ‘impassable’; no one can get through. But divine impassibility has nothing that gets in the way of God being accessible or available. Impassibility sets up no barriers. 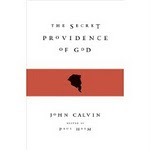 The authors fervently believe that God has revealed himself in Scripture, and that the disclosure of his own impassibility is a fundamental feature of this revelation. But the impassible God may meet us in our need, deliver us from our sin, and bring us unfailingly to glory. He is the very reverse of the impassable road, blocked up after a rockslide. Another misconception is that an impassible God is impassive, unfeeling and uncaring in the face of suffering and need. This suggestion has links with the caricature of the impassible God as psychotically withdrawn, indifferent to the needs of his creation. But no one in orthodox Christianity has ever said such a thing, that God is blocked off either psychologically or in other ways from his creation or from his people. ‘Impassible’ is a negative term. As ‘impossible’ means ‘not possible,’ so ‘impassible’ means ‘not passible.’ So if God is impassible, then he is not passible, not subject to the onset of passions or moods, and of changes of mind. It is not simply that he is not in fact subject to the onset of passions, like a Stoic, but he is not able to be made to have a passion. Paradoxically, being impassible does not denote a deficiency or lack in God, but it testifies to God’s fullness, to his undiminishable goodness, to his eternal will. The goodness of God is such that while the creation of the universe and the redemption of his people is a consequence of his goodness, God cannot be affected by or molded by his creation, and especially not by his human creation. It is as we, creatures in time and space, change or are changed that this fullness of God comes to us in one form or another, according to our different circumstances, and God’s unchanging purposes operate upon us, as we exercise faith, or are disobedient, or careless, or defiant, or forgetful. So God may be understood as a savior, a guide, or a judge, as he is understood as the eternal upholder and governor of his creation. Impassibility is closely connected with God’s immutability. When in Hebrews 6 the author states that it is impossible for God to lie, he grounds this statement in God’s own being. This immutability is not something that God has decided to be—unchangeable—but it is rooted in his nature, as the writer of the letter goes on to explain. “For when God made a promise to Abraham, since he had no one greater by whom to swear he swore by himself, saying, ‘Surely I will bless you and multiply you.’” Impassibility is an aspect of such immutability. So God does not simply decide to be constant in his character; it is his being (or essence) to be such, an aspect of his greatness, his perfection. He cannot waver. And so he cannot change his care, his love, his justice and so on, nor can he be changed, for he expresses his character in accordance with his eternal purposes. The connectedness of impassibility with other aspects of God’s being or essence is therefore important, and we shall return to it. When the Second London Confession of Faith asserts, as an aspect of the God it confesses, that he is “without body, parts, or passions,” the Baptist authors unashamedly copy the wording of earlier confessions of the English Reformation. That language, in turn, borrows from the thought of the medieval church and of patristic theology, going back to Augustine and beyond. In working in this way those confessional Particular Baptists avowed that their congregations are in direct line with the theology of the Christian church from her inception. Note the rather brave and gracious way that these men worked. During the times when Baptists were persecuted and discriminated against in England (John Bunyan put in Bedford jail for preaching Christ, and so forth), they nonetheless appropriated for their own confessions the language of the XXXIX Articles of Religion of the persecuting Church of England. (And the same would have been true, I reckon, had the English Parliament of the 1640’s had its way, and its anti-blasphemy legislation had been implemented. Baptists would then have been on the receiving end of Westminster Confession-style discrimination and persecution. But Cromwell intervened.) They deliberately followed this wording both of the Articles, and of the Westminster Confession of Faith, and of the Savoy Declaration (so long as conscience permitted them to do so) because they wanted it to be known that they had the same doctrinal pedigree. The Reformation was not a revolution, the discovering or inventing of a new kind of Christianity, but a re-formation, a protest against a corrupt church. This meant that wherever there were grounds for agreement and continuity, the Reformers upheld the ancient faith. Thus in asserting God’s transcendence, the trinitarian character of the Godhead, the incarnation in which the Logos took on human nature, the creation of the universe out of nothing, the ancient theological landmarks were left undisturbed. But where there was corruption—over the denial of justification by faith alone, by the promotion of human merit, the invention of acts of supererogation, and so on—the Reformers vigorously opposed the Roman Church. The English Particular Baptists adopted this same stance; opposing paedobaptism, episcopacy, certain liturgical practices, and the intolerance of the Church under the Stuarts, and later on that of the Presbyterians of the Long Parliament. As is shown in this book, they were resolute in upholding the theology and the doctrines of grace of Augustine and the Reformers, and of their Anglican and Puritan successors. To underline the point, they steadfastly confessed this theology in very similar and often identical words. Unfortunately, later Baptists who have acknowledged their confessions have often done so without a great deal of enthusiasm or conviction regarding this abiding theology. 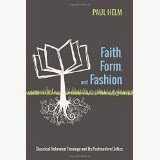 This book is an expression of a renewed enthusiasm and commitment for this confessional position.